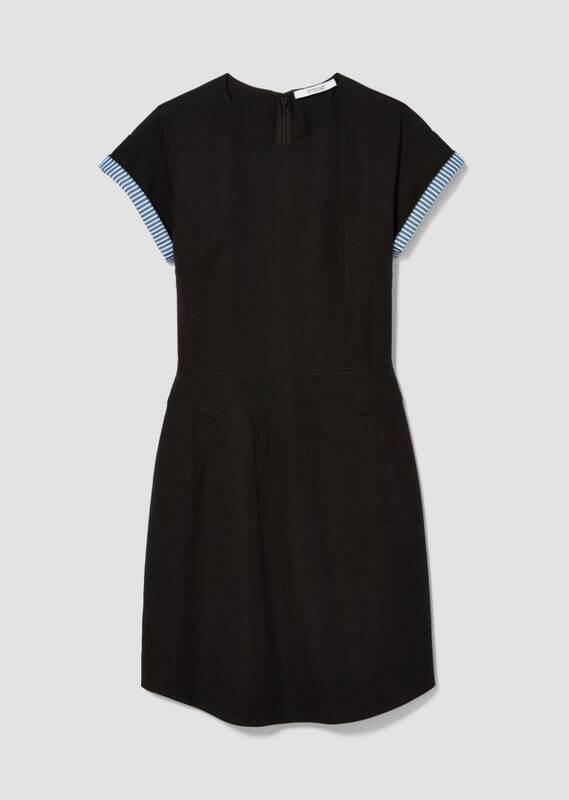 Fitted short-sleeve black twill dress with narrow striped details at cuffs. Crew neckline. Short sleeves. 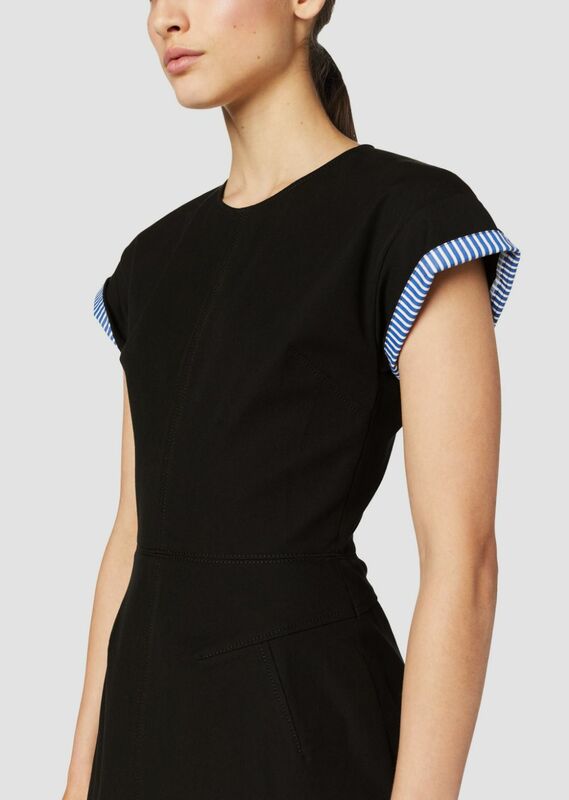 Gently curved hem.